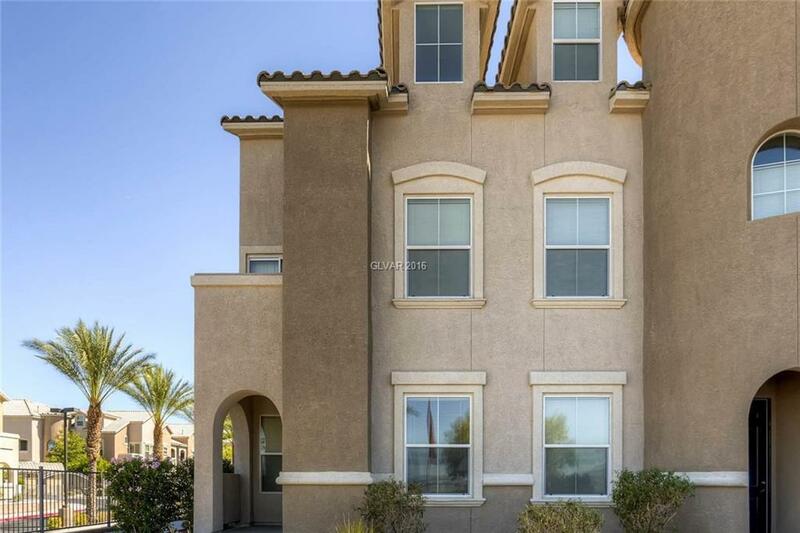 Beautiful Condo sits on the corner of complex on first floor w/unobstructed views of the strip & mountains! Immaculate inside w/carpet in living area, ceramic tile in the bathrooms and kitchen, ceiling fans in all rooms, window coverings throughout. Kitchen has warm maple cabinets, breakfast nook, stainless steel appliances and corian counters. Master Bedroom has a patio and spacious bathroom. You'll feel right at home!